Moving anywhere in the world can be both an exciting, and daunting task. Depending on where you’re coming from, moving to Taiwan may create a big distance between you and your hometown. So, we’ve put a guide together including key information and facts on what to expect regarding the most important things that may be on your mind when preparing for a move abroad! Taiwan is a relatively small island located in East Asia and has a population of 23.3 million. Due to its small, compact size, the Taiwan map is fairly easy to navigate. 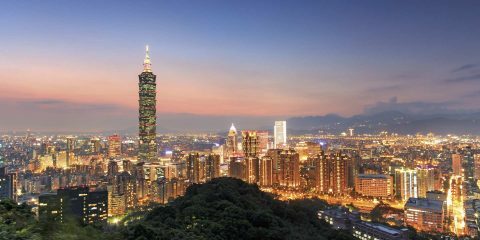 Most people head to its capital, Taipei, which is home to the Taipei 101 tower. Let’s also not forget, the world’s tallest Starbucks at the top, boasting a great view of Taipei city. The northern part of Taiwan, where Taipei the capital is located, is part of the sub-tropical climate zone, whilst the southern part is part of the tropical climate zone. 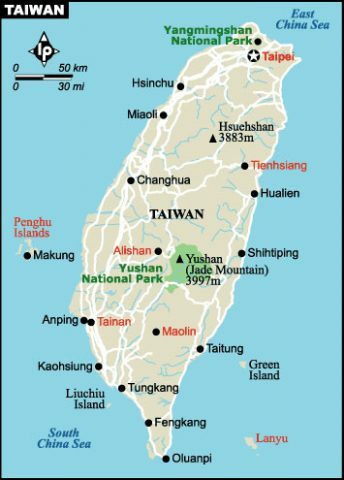 The island of Taiwan lies on the earthquake fault line, meaning that earthquakes are possible and not uncommon during modern times. NOTE – LTL’s 3rd school in our 4th city is based in Taipei, the heart of Taiwan. Currency: New Taiwan Dollar (NTD). 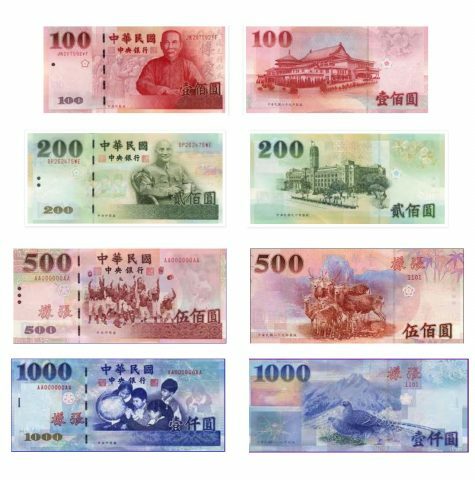 The name of the Taiwan currency name is the “New Taiwan Dollar“, NTD or NT$ in it’s shortened form. The ISO code of the Taiwan currency is TWD, which you will need for the currency rate online. You will hear this form of language in all aspects of life in Taiwan, from on the streets, to chatting with friends or in the office. The highest denomination in cash is 2000$ and the lowest is 100$ although coins go as low as just 1$. Taiwan, like Mainland China, has the same timezone throughout the entire country. The Taiwan time zone is CST (China Standard Time), GMT + 8. Travel to this island in the tropical zone and you can forget about bringing your winter coats. It has a beautiful warm climate throughout the whole year although experiencing Taiwan weather in summer can be a tad too much, as humidity levels, as well as heat rise above comfortable for most. Because of the tropical climate, leaving your winter coats behind is a good idea, but don’t forget your umbrellas! 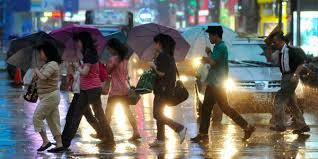 Taiwan weather can be very unpredictable, especially during typhoon season between July and September. One minute a downpour, the next beautiful blue skies. Don’t forget to bring your umbrella with you in your bag! The average amount of rainfall per year is 2,500mm and there are about 3-4 typhoons that hit the island per year. Such typhoons have been known to have devastating impact, such as flooding, landslides, and causing damage to infrastructure. Because Taiwan is an island, although the Taiwan weather may sound unbearable to some who don’t like warm summers, don’t fear! There is a constant sea breeze passing through meaning to doesn’t get too stuffy. Apart from the fact that people in Taiwan use Traditional Chinese instead of Simplified Chinese as their writing system, there are still several differences between Taiwanese Mandarin and Chinese Mandarin. 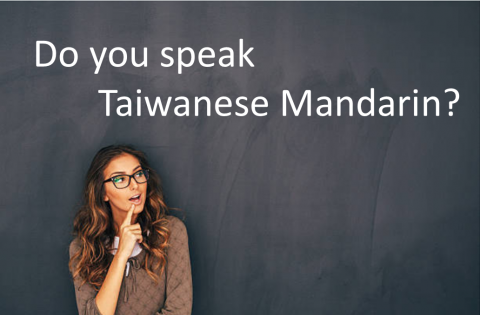 You can check out our blog all about Taiwanese Mandarin and get yourself fully clued up! At LTL – our classes in Taiwan are either taught using Traditional Chinese or Simplified Chinese. Sign up and YOU have the power to choose what YOU want to learn. An important note distinguishing Taiwan and Mainland China is the use of VPN. 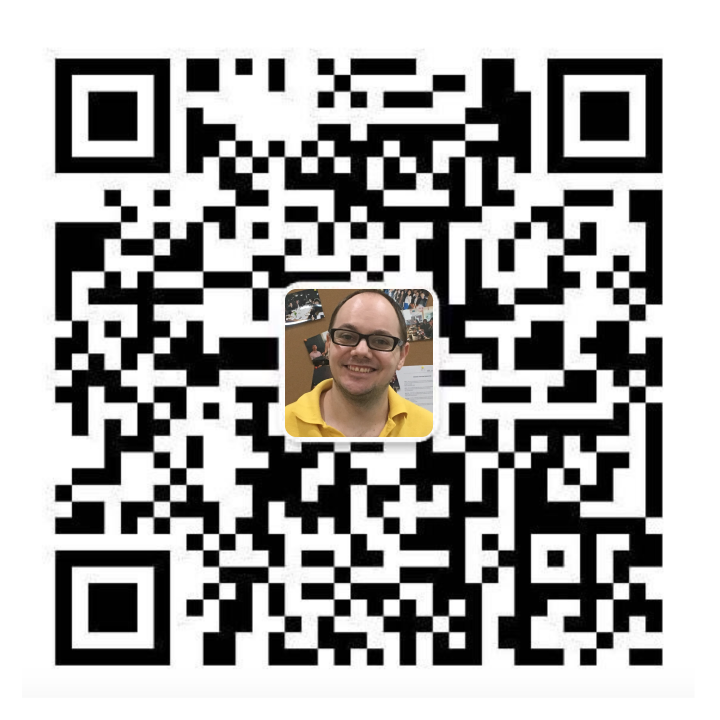 Traveling to China for any period of time and you’ll want to get yourself a VPN, whether free or paid. Taiwan’s internet, however, does not require the use of a VPN to access some of your favourite sites such as Facebook and Netflix. So, surf away!